Aside from wearing the occasional Chicago Blackhawks jersey (especially on a long flight), I make a point of maintaining a professional appearance in public. That used to mean dark suits and long sleeves. Happily, corporate dress codes have changed in recent years. Small business employees often expect a more relaxed policy that does not automatically fit when their companies are competing with larger companies. Establishing a dress code creates a quandary; formal attire may present a more professional appearance to customers, but employees may balk at spending money on expensive clothing or not being able to express themselves. To help you tread the line between fussy corporate and circus attire, here are six things to consider when formulating your dress code. Do customers regularly visit the workplace? If so, what do they expect to see? Store clerks, for example, may need to wear company shirts or vests for identification purposes, but not necessarily formal attire. Service companies that hold customer meetings in the office might look more professional if they wear more formal attire, but business casual may be enough. Consider what customers wear when they see you, as well. If they come in for a meeting wearing shorts and T-shirts, a room full of three-piece suits can be overwhelming. Even banks and law firms have relaxed their dress codes to some degree, but any business that handles client money or important affairs needs to work harder to preserve customer trust. Personally, I would also think twice if I walked into a surgical center and saw my surgeon wearing a Hawaiian shirt and flip-flops. Trust relies on first impressions. If you think that your dress code might alienate clients, they may go elsewhere. The jury is out on whether employees are more or less productive based on attire. It seems to depend on the person. Employees who perform highly-physical functions need free movement while avoiding concerns about stains and other types of damage, but people with desk jobs can create more of a dress code conundrum. Whether they work as accountants or provide customer service on the phone, employee attire can make or break productivity levels based on individual preferences. Some people might view themselves more professionally when they dress up, while others may squirm so much that they get less work done. When wearing apparel does not directly affect the customer, be flexible within reason. Define clothing that you cannot permit and let them dress within a range of styles. 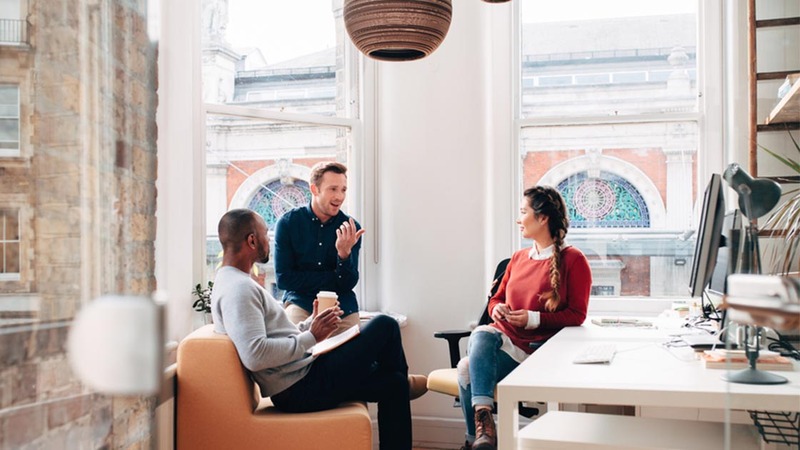 The influx of millennial workers has brought about an overall trend to more casual business attire — and employers are finding it necessary to loosen their dress codes to attract the most qualified candidates in a competitive market. Still, dress codes can affect morale. Most definitions of employee morale consider it to be a combination of employee emotions, attitudes and satisfaction, and each employee is unique in this regard. Few businesses want their employees to wear something akin to pre-school playwear, so a well-defined business-casual dress code is generally a safe choice, unless your type of business attracts a specific subset of employees who have similar attitudes about their preferences. Consider seeking opinions on a new dress code before implementation. If you fine-tune the rules, they will appreciate your interest. They may not get everything they want, but morale will be higher for your efforts. What message do you want to convey to everyone, from the general public to the people who work in your company? Small businesses have to work extra hard to protect their brands. At one end of the spectrum, employees with extreme tattoos or piercings project the trendy image that you need in your hip bar or restaurant. At the opposite end, most clients want a neat, tattoo-less person doing their income taxes. Of course, you can't force tattoos (or tattoo removal) on employees or applicants. If you want tattoos, you might consider providing temporary ones to be worn almost like a company uniform. If you need a buttoned-down look, do not expect employees to start shopping from high-end designers — unless you volunteer to pay for it. Neck ties and loose jewelry are definite no-no's when they can get caught in heavy machinery. Even employees who do nothing more dangerous than walking through the premises face risks if their clothes are loose, long enough to get caught somewhere or pose a trip hazard. Hats and certain hair styles can limit the field of vision. A good dress code considers issues like these, as well as issues of political correctness. If a T-shirt message is likely to cause a fight, make sure that your employees know they cannot wear it to the workplace. Is business casual enough? How about casual Fridays? What about hair, body art and body jewelry? Some companies allow neat blue jeans any day if worn with a blazer. Others announce occasional casual days when no customers are expected on the premises. Dress codes don't have to be all-or-nothing. Even if you need to maintain a formal atmosphere at work, employees welcome anything that gives them a taste of the casual life.